While everyone has been keen to dive into the deep end of the virtual reality pool, Apple has been somewhat of a wader. 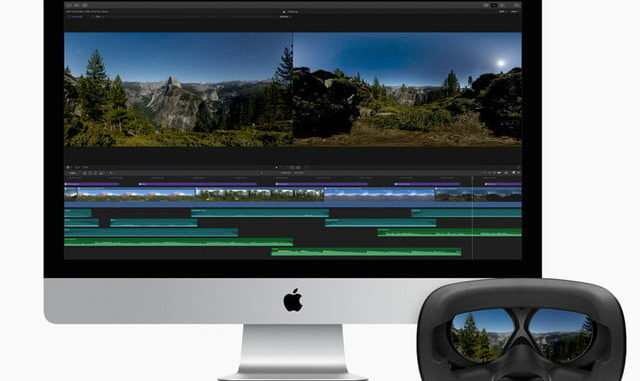 But no longer, as Final Cut Pro X finally adds their long awaited 360° video support, as well as 8K HDR. 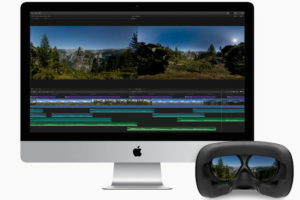 Within the 2D timeline of Final Cut Pro X 10.4, users will be able to edit their 360° video with several new tools including interfacing with the timeline through an HTC Vive headset. There are also new 2D and 3D effects that are designed to interact in the virtual space, and visual controls for adjusting horizons, manage bleed over from one camera clip to another, and remove camera rings. I guess it was albeit inevitable. Virtual Reality and 360° video is the flavor of a very long month, and everyone wants to get into the game. But for my money, it’s really a yawner. I can see it for video gaming, since that medium is essentially VR in anyway, at least for driving games and first person shooters. Adding in the ability to move around and interact with the environment you’re playing in is a natural. I also think that GoPro is onto something with their OverCapture feature, which gives users the ability to punch out a 2D video clip from anywhere in the 360 space. But to watch content in VR is somewhat, tiresome. At least for me. Still, that’s where everyone wants to go, and so Apple is finally getting on board with their latest Final Cut Pro X update. 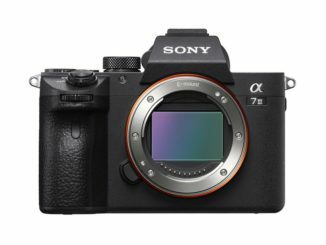 For my money though, the more exciting addition is support for 8K and High Dynamic Range (HDR). 8K has become a defacto source medium for shooting, and adding HDR is far more impactful on the moving image than virtual reality in my opinion. 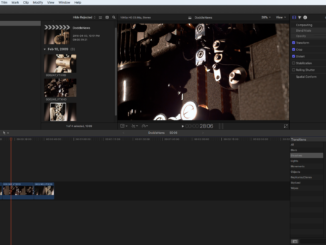 Long overdue, this support will all FCP to keep pace with Adobe Premiere. 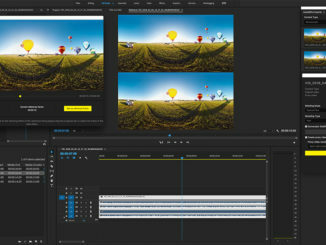 There’s also advanced color grading options, and support for social networking and sharing through Facebook, YouTube and Vimeo. Users will also be able to import iMovie projects created on mobile devices such as the iPhone X and iPad Pro, and support for H.265 HEVC coding, as well as Apple’s new High Efficiency Image File (HEIF) still image format. Apple is also updating their audio effects plugins for Logic Pro X, extends support for companion apps like Motion and compressor, and adds support for Metal Graphic Technology through MacOS High Sierra. 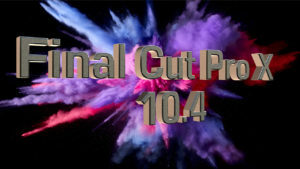 If you want to get a firm grasp of all that’s coming under Final Cut Pro X 10.4, head on over to LarryJordan.com and see Larry’s breakdown of all the latest tools and housekeeping fixes. Larry also recently delved into Virtual Reality on the Digital Production Buzz Podcast. That episode can be heard here.